On a night where John Wall scored a career-high 52 points, the Wizards would fall short to the Magic, 124-116 in a game they weren’t really competitive in. Bradley Beal was the second-highest scorer for the Wizards with 19 points while Markieff Morris was the only other Wizards player to crack double figures with 10 points. This will go down as the saddest 50-point performance in Wizards history. The Magic led by just one, 25-24 after the first quarter. Things fell apart for the Wizards in the second quarter as defense was an afterthought for this team. The Magic scored 40 points in the period on 14-20 shooting including a perfect 5-5 from three-point range. Elfrid Payton, a guy who struggles to score, knocked down his first three three-pointers in the quarter and Wizards fans knew it was going to be that kind of night. The Magic stretched the lead to 19, 72-53 as they started the third quarter on a quick 7-1 run. John Wall would score 33-points in the second half but it was all for naught as the Wizards were never really within striking distance in this one. Wizards lose 124-116; my friends, the sky is falling on this team. The Magic came into this game averaging a mere 93.2 points per game. 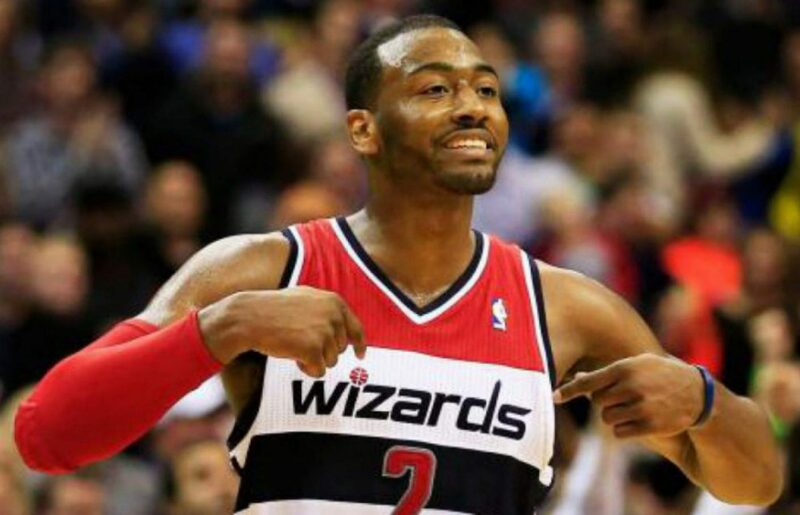 They dropped 124 on the Wizards and eclipsed their season average by the end third quarter with 96 points. The Magic shot 51.8 percent from the field including 46.2 percent from three-point range. Even more surprisingly, Elfrid Payton, a player who struggles to score, shot 75 percent against the Wizards and dropped 25 points off of the bench. Simply a pathetic effort on the defensive end. This isn’t groundbreaking news however the Magic bench outscored the Wizards’ bench 73-22 tonight. Ian Mahinmi continues to miss time after playing in just one game after his knee surgery while the proclaimed second best offseason acquisition, Andrew Nicholson played just eight minutes tonight. Aside from firing General Manager Ernie Grunfeld for constructing such a horrific bench, there really isn’t much else to say. Wall’s 52-point performance was kind of quiet if that’s possible. Mostly due to the fact that the Wizards were down double-digits most of the game. As mentioned just three players scored in double figures tonight so Wall was forced to carry the bulk of the load. After the game, it was reported that the entire team was so fed up that only Wall talked to the media. Something is brewing inside of this locker room. Another ugly home loss against the Nuggets might be the final straw for a season that seems to be spiraling out of control. Previous postWizards knock down 14 three-pointers, beat the Nets, 118-113.